From the opening number, Body, by electronic duo Loud Luxury to the closing retro performance by Corey Hart, the 2019 Junos were a celebration of Canadian artists past and present — musicians currently climbing the charts and artists who helped lay the groundwork decades ago. While In My Blood singer Shawn Mendes performed via video from Europe and scored the most trophies — he won five including artist, single and album of the year — it was Hart who had the audience on its feet. Here are some of the most memorable moments from Sunday’s Juno Awards in London, Ont. It’s no longer commonplace to see Hart, a staple on the 1980s music scene, take centre stage but it looked like he’d never left as he performed the smash hits Never Surrender and Sunglasses at Night. Hart, who marked his induction into the Canadian Music Hall of Fame with a rare performance, had the crowd dancing and cheering as he took them back to the days of synthesizers and cassette tapes. The singer might even introduce a new generation of listeners to classic tunes such as Boy in the Box and Everything in My Heart when he embarks on a Canadian tour in June. Watch Corey Hart close the Junos with Sunglasses at Night. Singer-songwriter Jessie Reyez, who has recently worked with major pop names including Dua Lipa, Eminem and Kehlani, encouraged her young fans to dream big. Reyez brought her parents and brother to the ceremony. Sting, who’s currently in Toronto performing in the musical The Last Ship, received extended applause after making an unexpected stop on the Junos stage. The Fragile singer introduced Canadian producer-composer extraordinaire David Foster, who received this year’s humanitarian award. 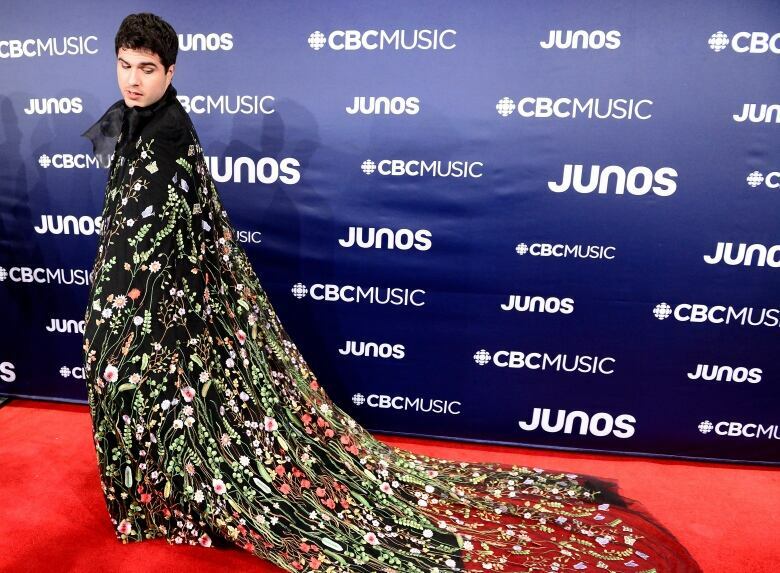 Jeremy Dutcher, whose Wolastoqiyik Lintuwakonawa won the Juno for Indigenous music album, highlighted Edmonton-based Cree designer Luxx on the red carpet by wearing an intricately embroidered cape with Cree lettering and a nearly two-metre train. Dutcher, who won the prestigious Polaris music prize in 2018, also gave a spine-tingling performance of Sakomawit from his album, which intertwines traditional Wolastoq songs with classical and electronic music. “You know when you live some place peaceful and beautiful?” McLachlan said on stage during her opening monologue. McLachlan did double duty, not only hosting but also performing during the event alongside folk-rock band Whitehorse. She sang Beautiful Girl and In Your Shoes, from her 2014 album Shine On. Next year’s Juno Awards will take place in Saskatoon.